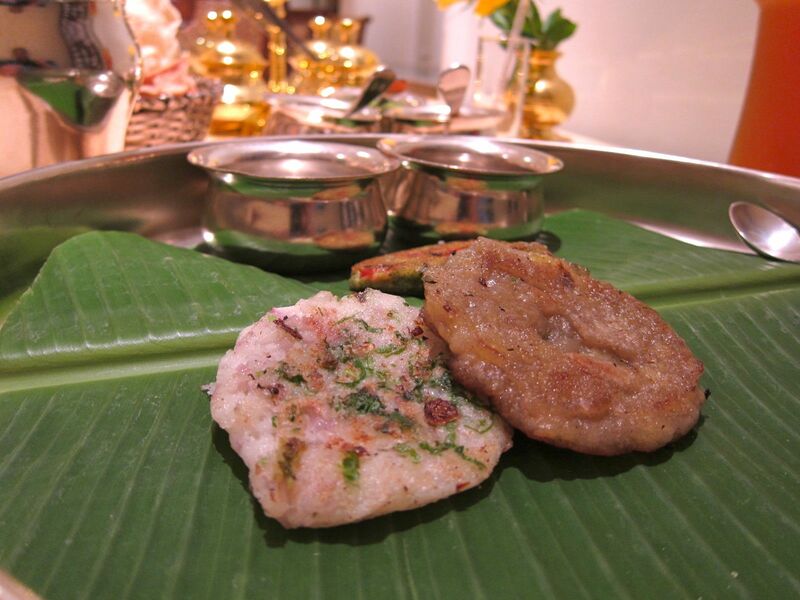 The dinner itself was fiery, hearty and left me feeling very full - like a good South Indian meal ought to! But it is the small touches like the dosa sampler and the 'filter coffee' served in stainless steel that brought a smile to my face. 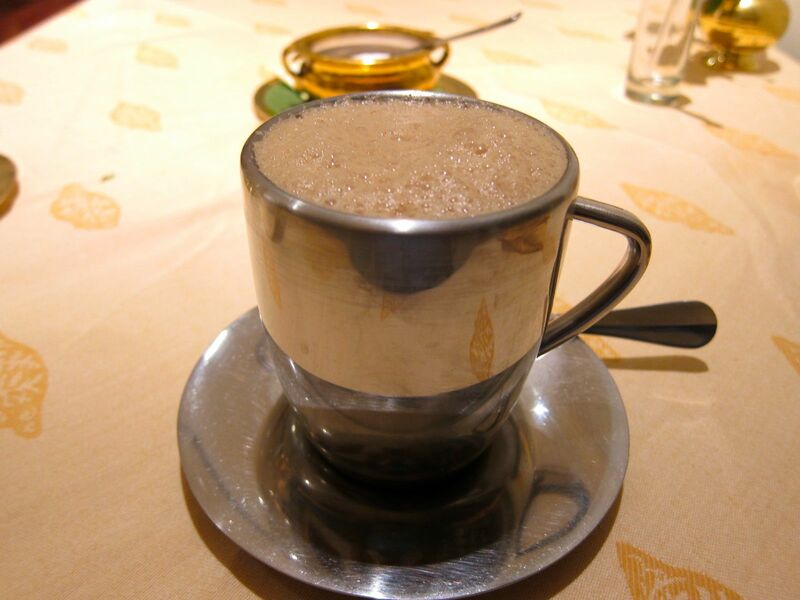 I remember how they served coffee at the Udupi restaurants in Mysore where I spent much of childhood. The waiter would swiftly go from table to table balancing dozens of stainless steel cups of hot, steaming coffee. At the table, he would create a froth in every cup by quickly pouring the coffee to and fro between two cups - one held high up and another low down - with the panache of an expert bartender mixing cocktails.